Having grown up in the country, my outlook on wildlife may differ from that of others. My brother and my husband are both avid hunters, frequently bringing dinner to the table. To some, the idea of eating wild game is off-putting. However, I've grown to love it. I've also come to see the beauty in these animals, a beauty I may never have appreciated had I not grown up around hunters. Bird feathers are absolutely beautiful and even more so when a good use is found for them. I was so thrilled when I came across Wadmalaw Wild Ties. A combination of wildlife and men's fashion, I knew this would be right up my husband's alley. 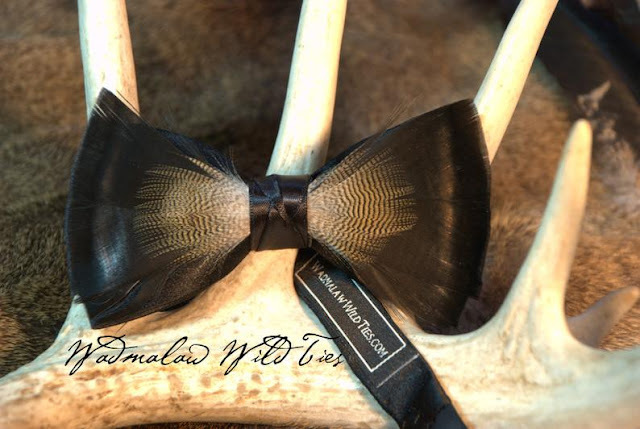 Wadmalaw Wild Ties creates some of the most stunning bow ties. Their ties are custom ordered and made by hand, from responsibly sourced feathers, including turkey, pheasant, guinea, partridge and duck. They come on an adjustable bow tie base, for a universal fit. Not only do they make the perfect gift for guys, they are also great groomsmen gifts. Imagine how sharp a wedding party would look with a few of these around the guys' necks. My husband browsed through previously-made ties and chose one to serve as inspiration to have his custom-made. This is the good-looking tie that he ended up with. 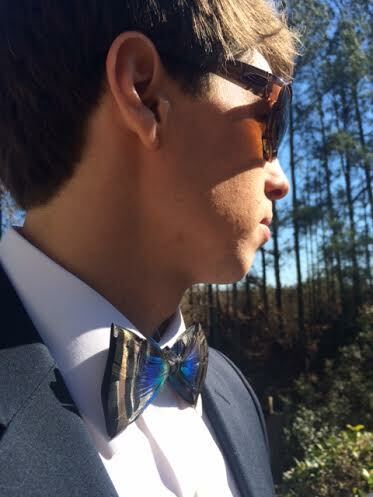 We both found the colors in this tie to be very eye-catching, even more so when the sunlight hits it. My husband received so many compliments when he wore this to a wedding we went to recently. 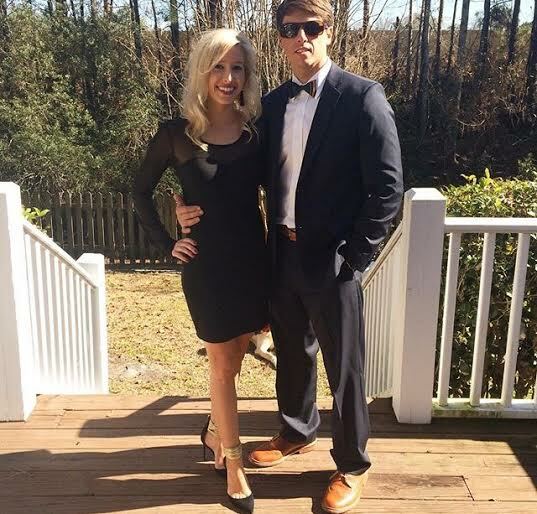 The tie just screams "southern gentleman." It was beautifully packaged as well, presented in a ribbon-tied brown box, secured with a piece of burlap, and printed with a compass on the inside. You can place a custom order for a tie, or choose from a current on-hand selection available for sale. You can also provide feathers from your own bird if you wish. The owner, Felicia, was so great to work with, and was eager to create our vision. For a look at her current ties available for sale, visit her Etsy store or the Wadmalaw Wild Ties Facebook page. Felicia has recently added a line of equestrian-inspired jewelry made from up-cycled leather, as well as horse bridle and halter pieces. 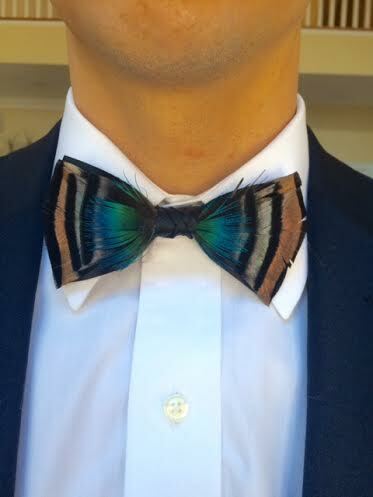 I'm a huge fan of supporting local businesses, and what better way than having my handsome husband sport one of these one-of-a kind feather bow ties. Thank you Felicia for the stunning hand-crafted tie! This is such a cool, unique piece! They’re absolutely beautiful too! Aren't they though?! Such a great gift for guys. I love their ties! So great for weddings and any formal function. These ties look amazing! I like how they are so unique! What a great way to complete a formal outfit. Yes, very unique. I love how no one tie is the same.